the real pleasure of Teppanyaki. Teppan, iron plate, is an essential tool of cooking and it also functions as tableware. The beautifully polished silver color Teppan iron plate is one of the Misono's signatures. The size and thickness of the plate are quite magnificent, which contributes to the atmosphere of Misono. The iron plate is like a stage of chefs where their skills are tested. There is one more function of it. Freshly grilled dishes are served on the iron plate and customers taste them directly from the iron plate. The iron plate functions as important tableware that connects our chefs and customers. The solid techniques of grilling to satisfy our customers. Teppanyaki that is prepared right in front of the customers can be described as improvisational cooking. It is very much different from the food prepared inside the kitchen. Teppanyaki chefs cannot check the taste or make any small mistakes. Regardless of being under this kind of tension, only those who can comfortably share the atmosphere with the customers, serve great food, present the fun aspects of Teppanyaki, and let the customers enjoy every part of it will be a qualified Misono chef. Simple cooking to bring out the great taste that is inherent in raw ingredients. 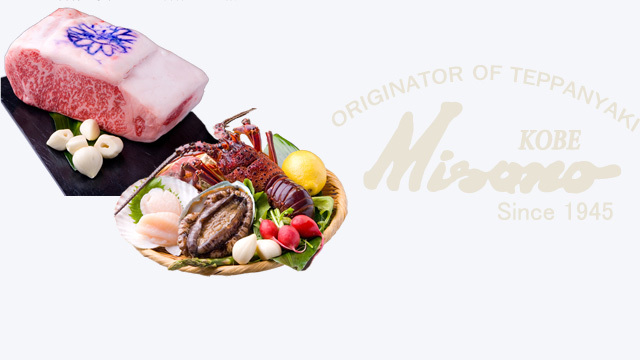 Misono values the great taste that is inherent in raw ingredients. We accomplish the perfect degree of grilling with minimum and simple seasoning. This simple method combined with Misono's iron plate and chefs' skills creates delicious Teppanyaki. The philosophy that Misono have been succeeding over 70 years as the originator of Teppanyaki will never change in the future.